Great result. I commented on your other post earlier this evening. As you say, now begins part two of the battle. Well done and good luck. I've just finished reading a book, The Wind Farm Scam, in which it states the average base load is c.26%, which is much less than the 40% that is often touted by the pro-wind fraternity. Well done, Chris. A really, really good result, especially so considering the Planning Officer's recommendation to accept. Now the work has to start in earnest, to ensure that the Government doesn't overturn this. Really, really great. So pleased. I know I am a Southerner but there is nothing to stop me moving North except, that is, for a skyline of turbines and myriad foothills raped by access tracks. Heart warming news, lets hope there's more to come. well done to everyone involved in the campaign. It is very good news. I realise that there is still alotto do in preparing for the public enquiry. A great result for the wild, it is only the start! If I can ever help let me know. A really BIG thank you to everyone involved in the various campaigns, meetings and actions. Well done to all. Thanks for all your hard work on this Chris. Sounds encouraging but this is only the beginning. 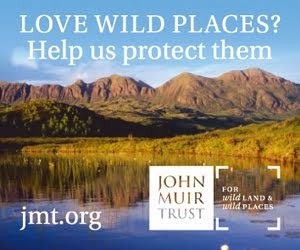 The value of wildness and tourism plus the hillwalker's point of view at last seems to be appreciated by some of those in power. nice to see the right decsion has been reached. how ironic will it be if donald trump gets one blocked aswell!!?. Hopefully this decision is an indicator that developments will from now on be scrutinised and weighed on their merits, rather than just railroaded through. 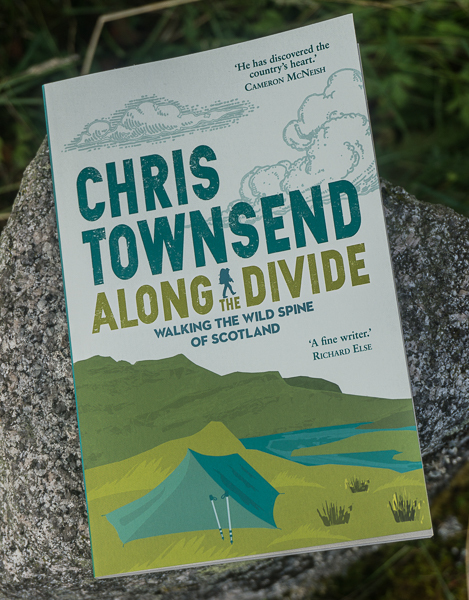 Well done to yourself, Chris, and all who played a part in arguing the case for the defence of the wilderness. The "little to see" comment reminds me of a similar one made about the hills of mid Wales when a turbine proposal was being debated: "It's an ideal location for them; there's nothing there". I suppose it depends on your definition of nothing. Sorry to put a damper on this but I bet they will win on appeal. Approval by Energy Minister Fergus Ewing is a given. In recent years my wife and I together with hundreds of other locals have opposed five wind factories close to where we live: To the SSE, a mere 1 Km away the 21 turbines are now almost complete on the Hill of Towie, to the West are Cairn Uish (22 turbines and a further 20 approved as addition to this site) and Paul’s Hill (28 turbines), To the SE are the Glendiffich Hills, the beautiful plateaux that runs from Cook’s Cairn (755m) across to Cairn Allt à Chlaiginn (621m) and Scaut Hill (606m) 59 turbines have been approved. It doesn’t end…there is now a proposal to erect 19 turbines on the hill of Brown Muir just 7K away. Despite local objections, despite proposals being rejected by the local Moray council the developers have always appealed to the Executive and have always won those appeals. The Nationalist government wants turbines and that is what they will get. Rob - Don't lose heart. What you say provides all the more reason to keep up the pressure and the exposure. No-one ever achieved anything by giving up. Chris, if there's anything I can do from the edge of Suffolk other than raise awareness, please let me know. Everyone - spread the word and educate your friends to the intrusion, damage and inefficacy of these trophy structures. I thought 'our' side was presented pretty reasonably by the news media up here Chris. Usually the 'anti' brigade don't get a mention, but i thought it was quite sympathetic in this instance. "128. The most sensitive landscapes may have little or no capacity to accept new development. 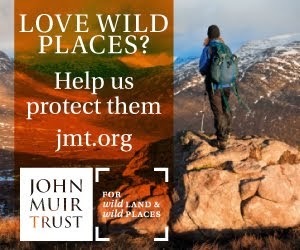 Areas of wild land character in some of Scotland's remoter upland, mountain and coastal areas are very sensitive to any form of development or intrusive human activity and planning authorities should safeguard the character of these areas in the development plan." "The design and location of any wind farm development should reflect the scale and character of the landscape. The location of turbines should be considered carefully to ensure that the landscape and visual impact is minimised." Politicians should be reminded of these guidelines - which they created and agreed.